In older homes or homes that have been remodeled there may be some windows or glazing in the doors or windows that by today’s standards should be tempered glass but are not. 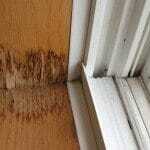 Since non-tempered windows are a safety concern we should look at several different options to make the windows safer. Windows or doors with non-tempered glass, if broken, can have large sharp sections of glass laying around or falling off. These large pieces of glass can be hazardous to adults, children and pets. Tempered glass on the other hand, if broken, breaks into small pieces of glass similar to a car windshield. Therefore, in places that are more subject to being hit or broken, it is desirable to have tempered glass or a film placed on the glass to make it safer. 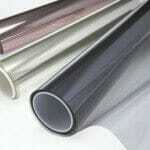 There are a number of companies that manufacture protective films and have people that will come out and install it on the windows for you. With certain films placed on the non-tempered glass, should the glass be hit or broken, the glass will stick to the film rather than fall all over the place. Some cities require that certain door glass and windows be either tempered or have an approved protective film on them when the home is sold. For example, Los Angeles, California requires a home with non-tempered glass in certain areas to be replaced with tempered glass or to have an approved protective film put on the glass. Where is tempered glass most beneficial? Areas that would be safer if there was tempered glass include sliding glass doors, glazing in regular doors and the windows by those doors. 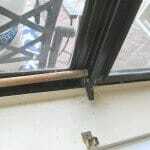 Windows located at a stair landing area or windows near walkways are also safer with tempered glass. There are codes that prescribe where tempered glass should be. Consulting with a local glass company can provide you with information and guidelines about tempered glass in windows and doors, as well as, information about protective films that are available. Do I have replace the entire window or can I just dry it out some how? Maybe it will go away?